Pro-Ject 1 Xpression Carbon UKX review | What Hi-Fi? 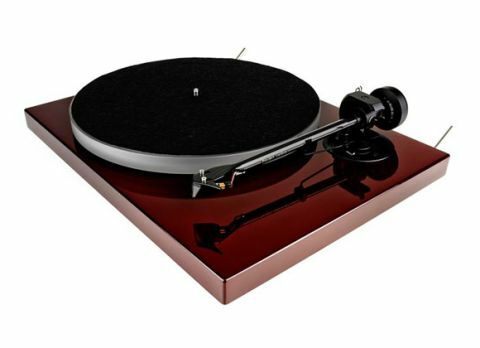 Pro-ject is best known for its class leading budget turntables. It has dominated that market for more years than we care to remember, and continues to do so. So successful has the company been in this respect, that it’s easy to forget that it makes some mighty fine products at more ambitious prices too. You can count this latest version of the long-running 1 Xpression among them. The Carbon in the product’s name refers to the material used in the supplied arm. It’s unusual to find carbon fibre arms, even at far higher prices, so it’s clear that Pro-ject is trying hard to offer something special for the price. There’s more to a good arm than just tube material. We’re pleased to report the one fitted to the 1 Xpression is a substantially engineered unit with smooth, play-free bearings and a nice solid feel. You’ll find an Ortofon 2M Silver cartridge attached to the arm: it’s a modified version of the company’s much admired 2M Red moving magnet, which bodes well. Other improvements over earlier versions of the 1 Xpression include an improved motor and a new power supply. The aim, as always, is to improve speed stability and reduce the amount of unwanted mechanical energy fed into the turntable’s structure. The platter in the UKX is acrylic, changed from the composite steel/thermo plastic elastomer one used in the standard version. While it’s perfectly fine to place a record directly on the acrylic, Pro-ject also supplies both cork and felt mats too. Each option changes the sonic presentation a little, with the final choice coming down to personal taste and system matching as much as anything else. Just remember to adjust the arm height to compensate for the varying thickness of the mats. We preferred the direct acrylic option for its extra clarity. Set-up is relatively simple, though newcomers to turntables may find attaching the bias weight a little fiddly. The rest of it is straightforward; add the platter, fit the belt and attach the counter and bias weights to the arm. And, of course, plug it in. Once up and running we’re impressed with what we hear. We use two systems: one based around the Arcam A19 amplifier and B&W 685s, and the other is our reference Bryston /ATC set-up. Regardless of partnering kit, it’s clear this Pro-ject is a great sounding deck. It’s the sonic clarity that stands out first. Listening to REM’s Automatic for the People we’re taken with the high level of detail; this deck digs deeply, and defines notes with class-leading precision. It’s a fast, controlled sound that makes tracking low-level instrumental strands easy. The presentation is composed too, staying stable even when things get busy. Tonally, things are nicely balanced with no part of the frequency range dominating. The Ortofon 2M Silver cartridge comes across as a refined and articulate performer, and had no trouble working into any of the phono stages we tried. Move onto Orff’s Carmina Burana and the Pro-ject continues to impress with wide-ranging dynamics and a decent amount of punch. There’s also a pleasing sense of scale and a nicely layered sound stage. This is a deck that majors on analysis. We can’t think of a rival that tells us as much about a recording. However, compared to the likes of Rega’s RP3 it can sound a touch clinical, downplaying the rhythmic and forceful aspects of the music a little. This never goes too far though, with the Pro-ject remaining an entertaining listen regardless of genre. We still think the 1 Xpression Carbon UKX is a terrific package for the price. It’s balanced and insightful, rivalling the class-leaders in overall ability. It’s worth serious consideration.